Lab results have been released for the dolphin that died at Dolphinaris Arizona in May. Alia, the female bottlenose, had an "acute bacterial infection" that "spread quickly through her body," the facility said Friday, according to lab results from the University of Illinois. 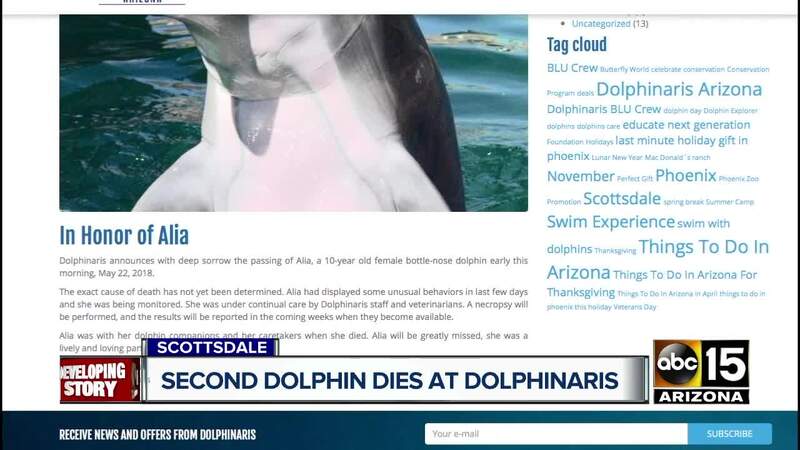 "Despite exhaustive efforts by staff and veterinarians, Alia succumbed to septicemia, an infection in the bloodstream," Dolphinaris Arizona said in a news release. The release said the lab "ruled out Valley Fever or any other type of fungal infection related to the desert environment." They said the infection was an 'isolated case and "not contagious to other dolphins or to humans." 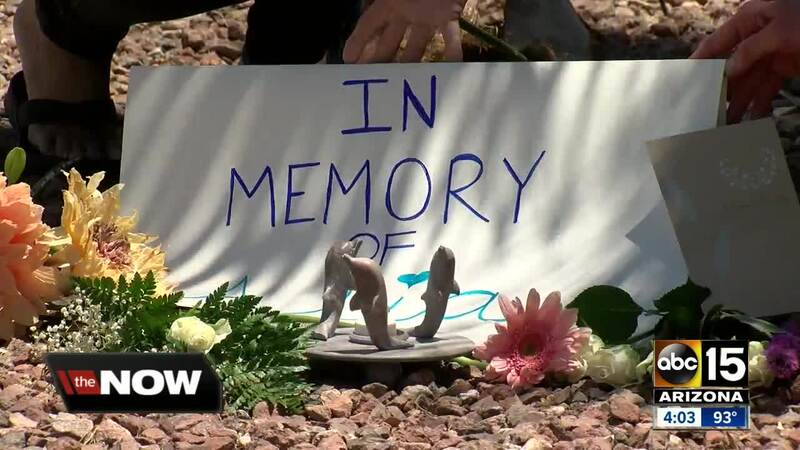 "Alia's passing has deeply saddened her trainers and all of us at Dolphinaris," said Christian Schaeffer de Leon, general manager at Dolphinaris Arizona, in a written statement. "Her time with us has reinforced our commitment to educating and inspiring the public to care about and help protect marine mammals in the wild. Our guests tell us that meeting dolphins up-close creates lasting connections and motivates them to become better stewards of the ocean." The 10-year-old dolphin's caretaker noticed that Alia had been acting unusual in the days before her death. She is the second dolphin to die in less than a year at the facility. Bodie, a male bottlenose dolphin, died in September 2017 from a rare muscle disease, the facility said. Though in a document reported to the USDA, Bodie's death was reported as a "fungal infection." Dolpinaris Arizona opened in October 2016 at the Odysea in the Desert complex near Loop 101 and Via de Ventura, part of the Salt River Pima-Maricopa Indian Community. At Dolphinaris, people pay for different interactive experiences with the dolphins both in the water and out of the water. They currently have six dolphins at the facility.